Mercury is a 9 year old registered appendix mare. 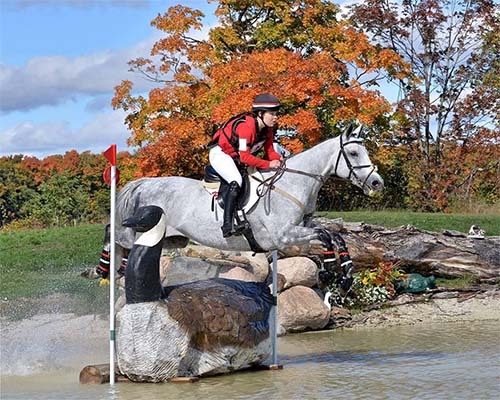 She has successfully competed up to the intermediate level in eventing and has potential to go higher. She has a big floaty movement, extremely careful in show jumping and is a cross country machine! She is more go than whoa. Mercury has won numerous shows throughout Canada and America . She has also gone to NAJYRC in the Cci* level. Mercury is a perfect horse looking for a rider to go to young riders with again! Please email for more info and video.